Click on any item to read more about it. 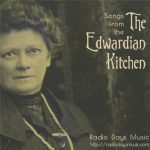 The Edwardian Kitchen is a compilation of original recordings and contemporary spoken texts around the theme of food and drink for which the late Victorians and the Edwardians had something of an obsession with. 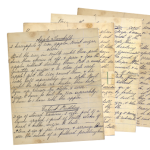 Original songs (like Boiled Beef & Carrots or Lloyd George’s Beer) by Music Hall artists of the time are alternated with readings from the Cassell’s New Universal Cookery Book (1894) on the duties of the cook, gas stoves, malt liquors and other Edwardian food and drink interesting topics. Click here for even more information on the CD and it’s tracks.